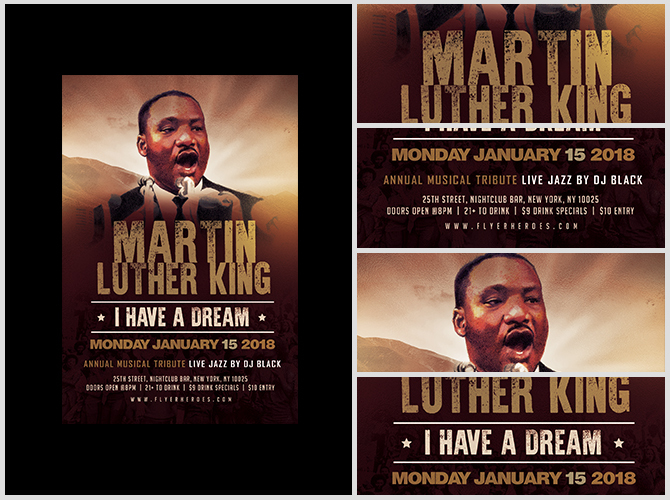 Now you can honor Martin Luther King, Jr. and market your special event or MLK promotion using this powerful and professionally-designed Martin Luther King, Jr. flyer. 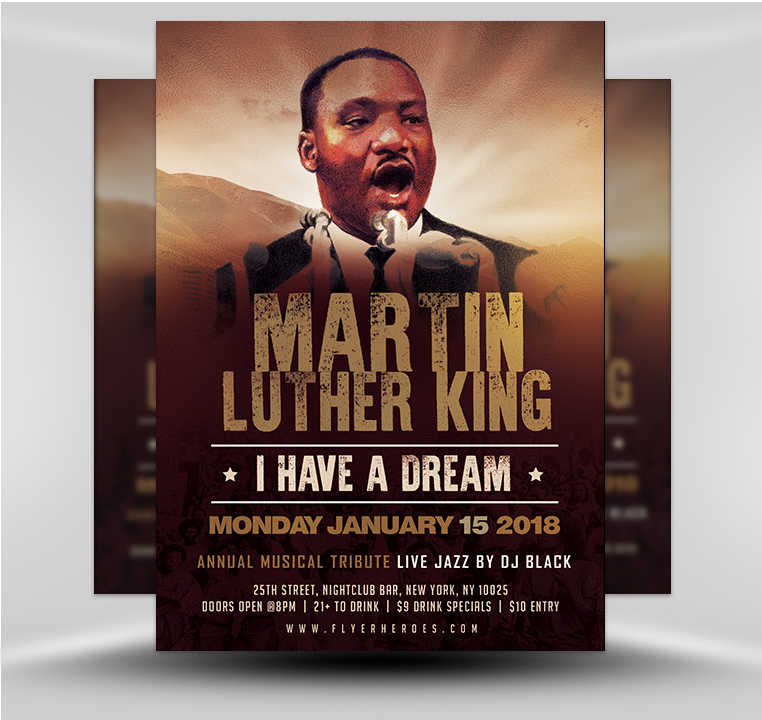 When Martin Luther King, Jr. Day rolls around in January, you’ll be prepared to promote your event far and wide using our easily customizable template to create a dignified promotional flyer. The design is already set so it won’t take long to create. 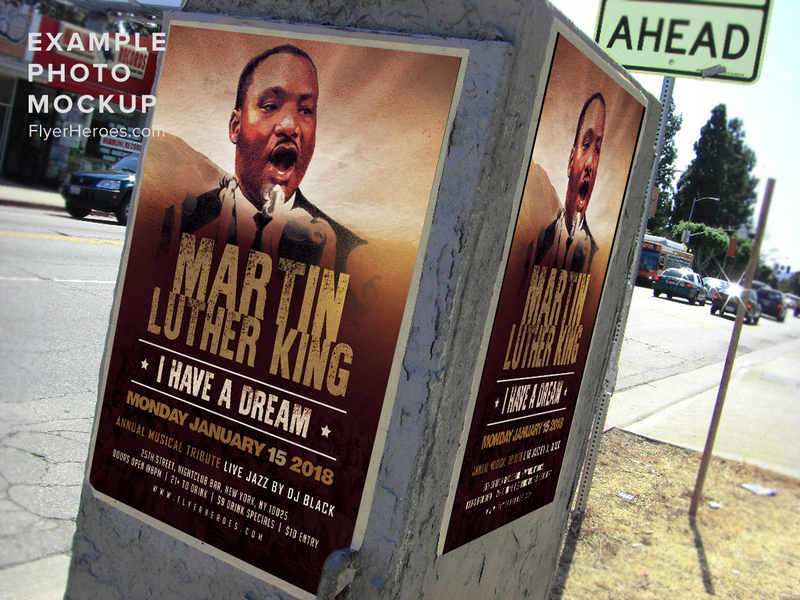 When the flyer is complete you can post or distribute it in community centers, at networking events, at libraries, schools, social clubs, religious organizations, political clubs, and more. 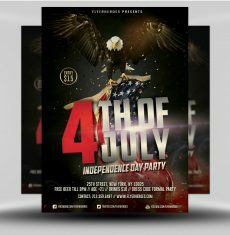 Take to the street and distribute this inspirational flyer wherever people gather: restaurants, nightclubs, and churches. 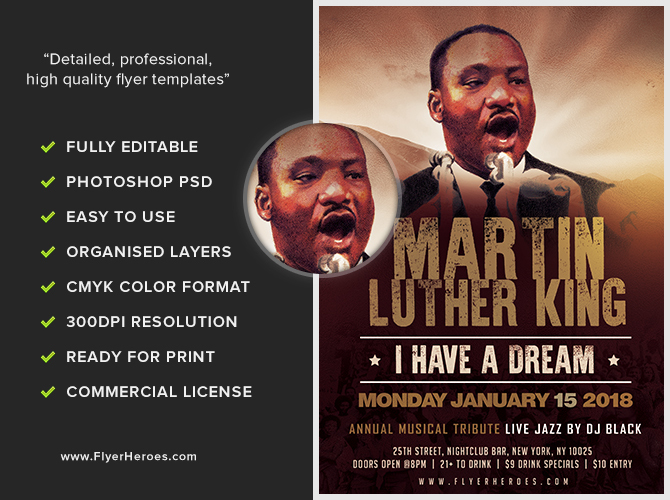 Since you are granted unlimited commercial and personal use for an unlimited amount of time, you can use it every year and throughout the year—to promote Martin Luther King, Jr. Day, Black History Month in February, and educational lectures, workshops, or civil rights events in which Martin Luther King Jr. is featured.